PENNSYLVANIA �HORNS OF THE TRADE�, Screw Tip Horns and Their Architecture. by Arthur J. DeCamp. Hardbound, 11� x 8-1/2�, 318 pages. 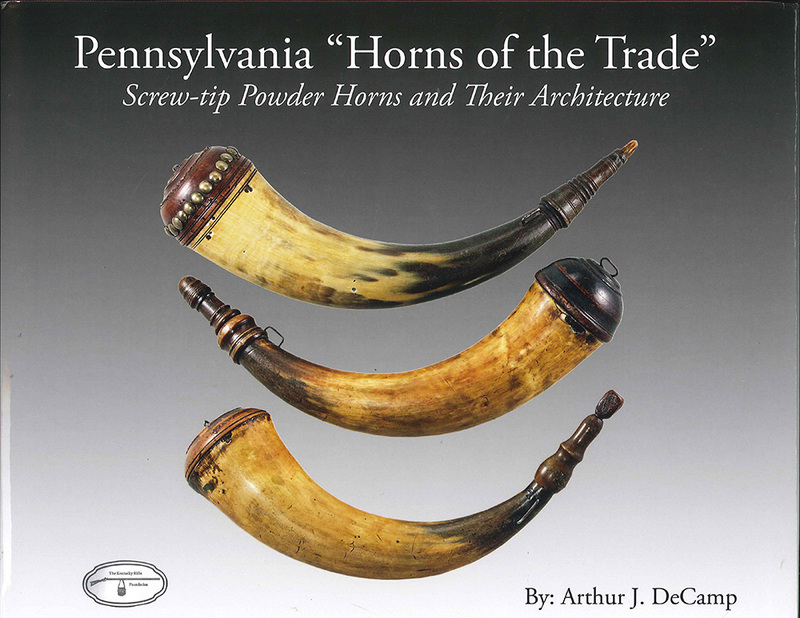 Noted authority Art DeCamp has accomplished the monumental task of telling the story, in text and pictures, of the development and manufacture of Screw-tip Powder Horns in Pennsylvania. Most collectors know of the screw-tip �Horns of the Trade� but very few have the comprehensive knowledge displayed in this book. Over 300 pages of history and county by county documentation are presented in full color for the beginner as well as the experienced collector. Information that up until now was available to a very limited few. This work is destined to earn a place of prominence on the book shelf of every serious powder horn collector and maker.